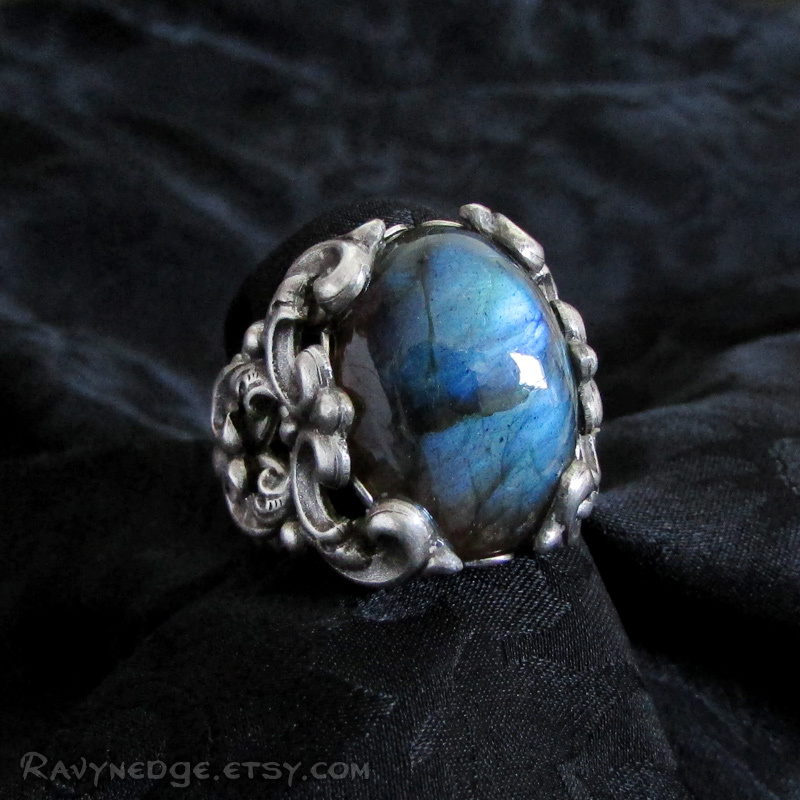 Celestial Veil Ring - Labradorite and Silver Filigree Adjustable Ring by RavynEdge. 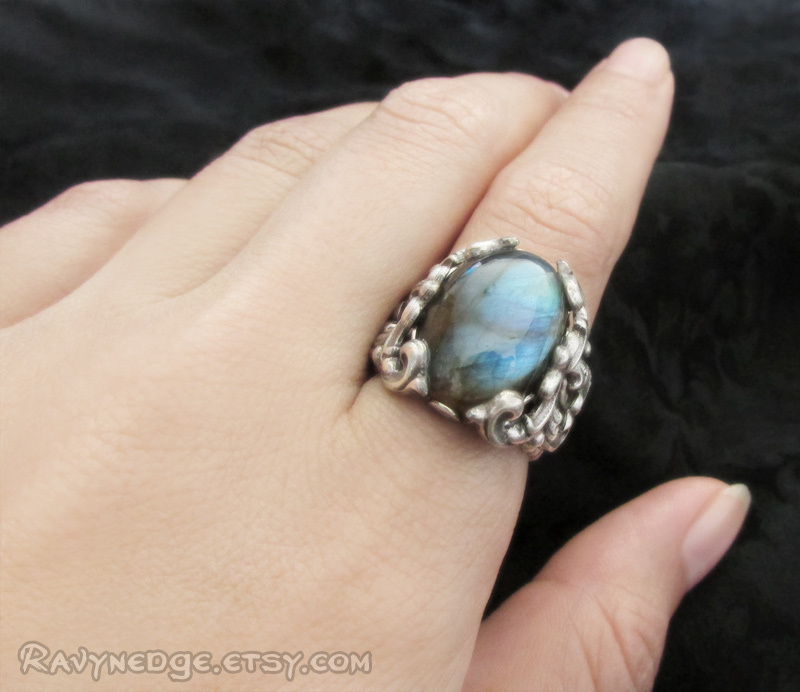 This was a custom order for a customer who wanted a natural labradorite gemstone in the "Lunar Solace" ring design. 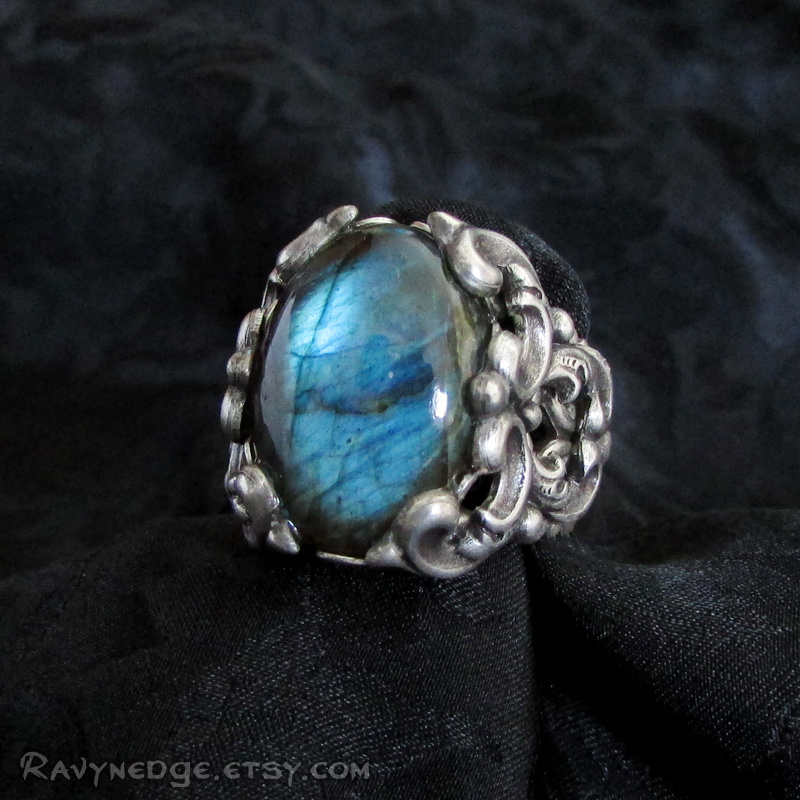 The base color of labradorite is a silvery gray, but the color will often change when the light hits it at a certain angle, resulting in a flash known as labradorescence. The flash itself may be blue, green, gold, or pink. 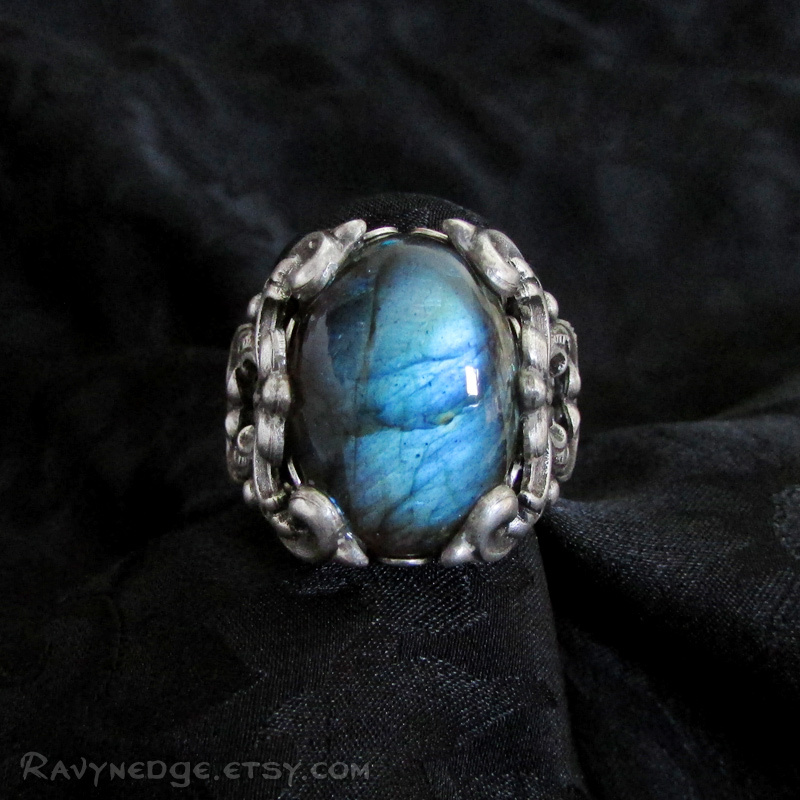 This particular stone flashes a lovely rich blue and aqua. All metal is silver plated brass, oxidized to give that wonderfully romantic and gothic look with a vintage appeal. Adjustable to fit most finger sizes. At larger ring sizes, there may be a gap under the finger. Labradorite brings clarity of thought, creativity, and sharpens intuitive wisdom. Heals, balances, and protects the aura. Lends strength during intense transitions and challenges. Promotes strength of will which aids in combating addictions.